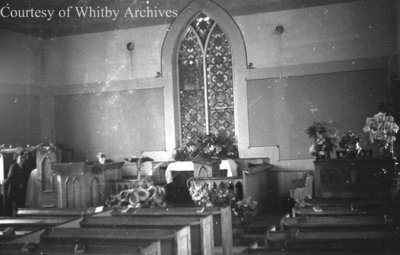 A black and white negative of the interior of St. James Anglican Church located on Lot 2, Concession 4, Brock Township. St. James Anglican Church and Cemetery, c.1939, Marjorie Ruddy. Whitby Archives A2013_040_690A.